A child's first visit to our San Jose pediatric dental office with Drs. Philip and Greg Wolkstein should be enjoyable. Children are not born with a natural fear of the dentist, but they can fear the unknown. Our office makes a special effort to use pleasant, non-frightening, simple words to describe each treatment. We want you and your child to feel at ease from the moment your family arrives at our office. With more than 40 years of experience as a vital part of the San Jose, CA community, Drs. Wolkstein have been proud to serve multiple generations with high-quality pediatric dental care. We believe dentistry is more than just fixing teeth; rather, it is a chance for us to provide positive overall experiences and fostering good dental patients who enjoy coming to the office and taking care of their teeth. The field of dentistry is made up of many different specialties including orthodontics, oral surgery, endodontics (root canal therapy), periodontics (gum treatment), and general dental practices. Unlike these specialties which are defined by the type of procedures and treatments they provide, pediatric dentistry is a specialty that is “age-defined.” It involves many of the procedures and disciplines of the other specialties, but modifies them to fit the unique requirements of children and young adults. Pediatric dentists like Drs. Wolkstein receive a minimum of two years of additional training (following their dental school training) which encompasses advanced focus in behavior management, growth and development, treatment of the medically compromised, pharmacology, and sedation as specifically applied to infants, children, and young adults. 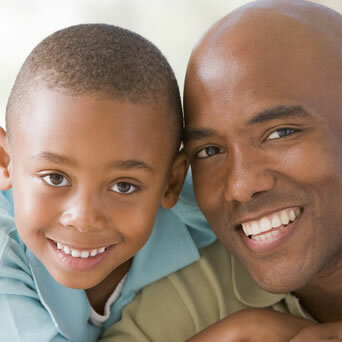 By applying techniques acquired through this advanced training and through the years of working exclusively with children, we strive to make each visit with our dentists a comfortable and enjoyable one for both you and your child. We use dental visits to develop strong, positive relationship with dentists and hygienists to help ensure future good appointments. By visiting our San Jose dental office for regular cleanings and exams, we are able to maintain and monitor good hygiene habits and guide improvement, reduce cavities and need for treatment, and recognize potential need for orthodontic intervention. Some dental problems begin very early in life. One concern is baby bottle tooth decay, a serious condition caused by a child staying on the bottle (or breast) too long. Another problem is gum disease. About 40% of children between the ages of two and three years old have at least mild inflammation of gum tissues. Oral habits (such as thumb sucking) should also be checked. The earlier the dental visit, the better the chances of preventing problems. Strong, healthy teeth help your child chew food easily, speak clearly, and feel good about his or her appearance. Primary teeth are important because they help with proper chewing and eating, help in speech development, and add to an attractive appearance. A child who can chew easily, speak clearly, and smile confidently is a happier child. Healthy primary teeth allow normal development of the jaw bones and muscles, save space for the permanent teeth, and guide them into place. When baby teeth are lost early, it can lead to crowding of permanent teeth and increase the likelihood of the need for orthodontics. Decayed baby teeth can cause pain, abscesses, infections, and can spread to the permanent teeth. Also, your child's general health can be affected if diseased baby teeth aren't treated. Remember, some primary molars are not replaced until age ten to 14, so they must last for years. We are asked this question many times. We suggest you prepare your child the same way that you would before their first haircut or trip to the shoe store. This will not be the frightening experience you may remember from your youth. If you are nervous about the trip, then the less you say the better. You cannot hide your anxiety from a child (they have radar for these things.) Have fun going through it with your child. Your child's reaction to his or her first visit to the dentist may surprise you! When you come to our San Jose office, you’ll be greeted by a friendly, comforting, bright waiting room, welcoming front desk staff, and highly experienced hygienists with years dealing specifically with children, young adults, and individuals with special needs. Popular movies and games throughout office help distract and occupy children, and our “tell-show-do” philosophy helps to ease children into new experiences and procedures.